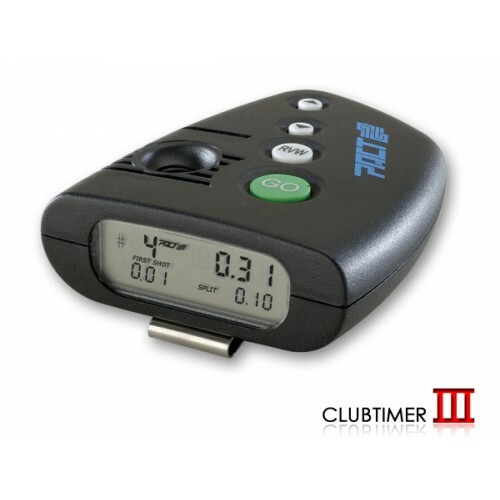 The Club Timer 3 is uniquely designed and shaped to fit the hand so that the buzzer and microphone are unobstructed, and the ergonomic buttons are recessed to prevent accidental activation. This timer features a sealed conductive rubber keypad, corrosion proof contacts and a big custom display. 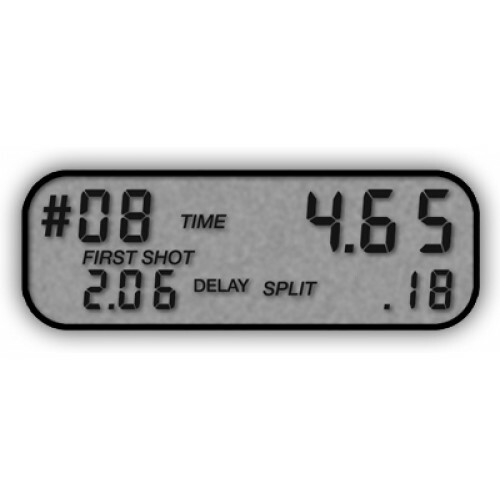 Simultaneously displays shot number, split time and total time. Features 100-shot memory with automatic data compression, par time and automatic battery saver. Also offers a loud buzzer with a low frequency which results in a clear, less harsh tone that is more comfortable to participants and spectators. Weighs 5 oz. Covered under a factory limited lifetime warranty.